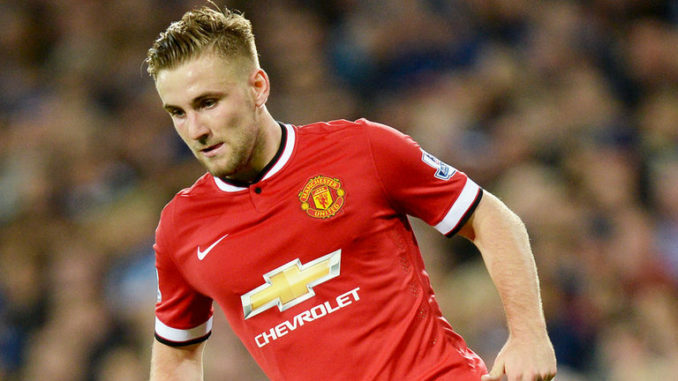 Manchester United have confirmed that they have agreed on a long-term contract with defender Luke Shaw which would keep him at Old Trafford until June 2023 – with the option of an additional year. Shaw had a disappointing 2017/18 campaign where he was largely confined to a bench role and it appeared that he could part ways with the club during the summer with his contract expiring in 12 months’ time. However, the Englishman decided to stay put to fight for his United future and the decision has certainly paid dividends with him bagging a regular role under manager Jose Mourinho this season. Shaw had twice been the subject of public criticism from Mourinho in recent years but his workrate and tenacity this term has certainly won over the Portuguese, who has already praised him on multiple occasions. With the contract extension, United’s appear certain to stall on their recent pursuit of a new left-back but the potential departures of Ashley Young and Matteo Darmian in the future may once more trigger the need. Darmian appears very likely to seal a Serie A return in the next transfer window while Young’s future remains under consideration with United yet to extend his contract beyond the end of the current campaign.